We are a team of creative hair stylists who love to give our clients a unique and personal service. we pride ourselves on our happy and loyal client base built up over the last 6yrs. Jerica was so friendly, approachable and clearly cared a lot about doing a great job. I had a full head of highlights and the colour she has done is absolutely beautiful, so natural looking and no stripes! The best highlights I have ever had and I have tried so many different places. I will definitely be returning, thank you so much Jerica! Lovely updo! Thank you very much! Great first visit here, very welcoming and nice atmosphere. I had a haircut and blow dry and eyebrow threading. Really pleased with the results of both. Thank you I will be back! Can’t recommend highly enough. Have spent years trying to find a regular hairdressers and have finally found one. Amy is welcoming, friendly and I’ve been pleased with my hair every time. Had it coloured today by Rebecca and she did a great job too. II had a fantastic cut and very happy with hair stylist... she knew exactly what I want. Really happy with my haircut, thank you Jerica! I booked in online for my 2 year old to have a haircut. 15 minutes before the appointment, when I was already on my way, I had a phonecall to say they had some hair dye to rinse off another customer at my appointment time and requested I come later. I explained I was right outside the door but they weren’t remotely sympathetic or apologetic. We arrived early and they really could have for us in for a 10 minute appointment. I waited around for the appointment because it’s a pain to pack up a 2 year old to get out of the house when it’s cold and they don’t want to be going out to have their haircut... but I was really quite cross at the lack of organisation and lack of apology. We ended up getting our haircut 55 minutes after we were originally booked in. It’s a shame because the haircut was absolutely fine, but I definitely won’t be booking any more appointments there. Rebecca was really friendly, very attentive and gave me a great hair cut and colour - very pleased! Thankyou very much to Rebecca for my lovely balayage! Removed brassy tones and replaced them with an ashy blonde whilst blending to keep it looking natural. Very friendly staff and Rebecca was asking questions throughout to unsure she knew exactly what I wanted. Would definitely recommend! My haircut is perfect. Amy is an amazing hairdresser. She cut my daughter's hair too. Fantastic service, lovely experience and amazing shampoo! Delighted with result ! Quiet clean efficient and friendly. This was my first visit & I am delighted with my hair cut. I couldn’t be happier. Jerica has done the most beautiful balayage, cut and blow dry. The colour is absolutely perfect - rich yet very natural. I was well looked-after from start to finish and felt truly pampered. 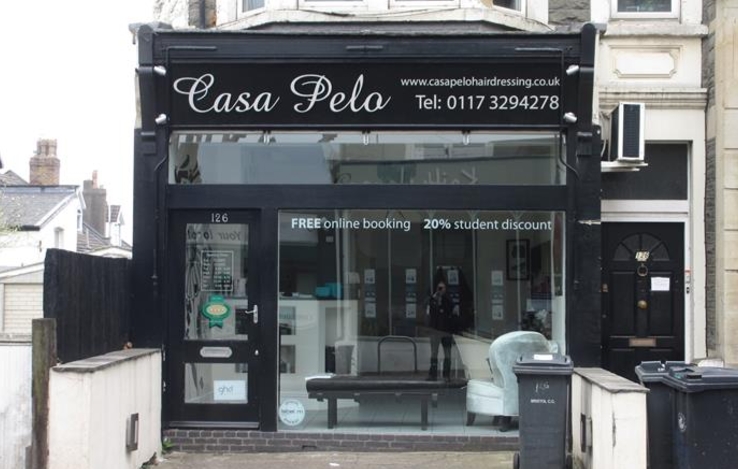 I would highly recommend Casa Pelo and will be coming back for more!